Mom lives at a lovely place that often has live entertainment. 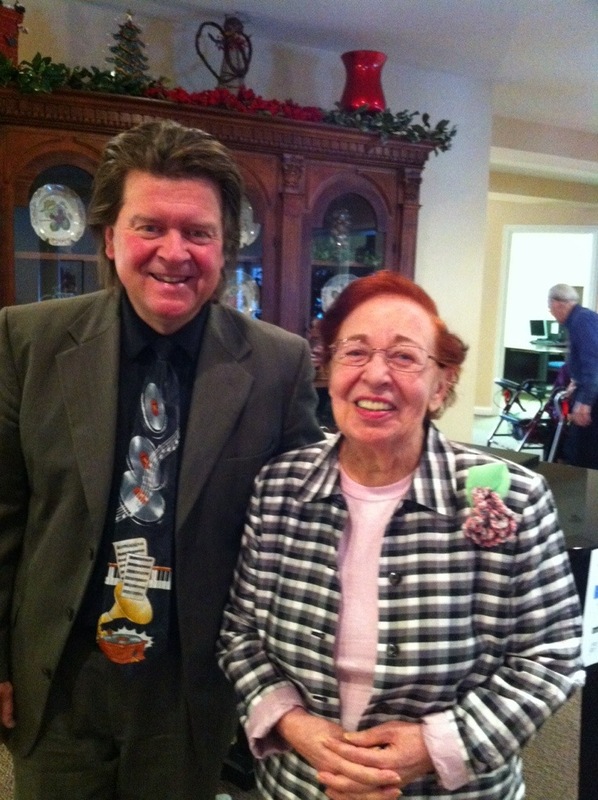 Today, a talented singer/musician, Richard Gersten, performed for the seniors gathered around the piano. His charming voice enthralled the group with several Broadway classics and familiar sing-a-long tunes. I’ll be the first to admit that I have an unusual penchant for knowing the words to a plethora of old songs and show tunes. I also tend to sing along, solicited or not. Life is short…so, belt out a show tune if you so desire. I always desire. Another melody. Pretty nice, huh? Mom and I thoroughly enjoyed the music, the songs and a cozy afternoon with friends.